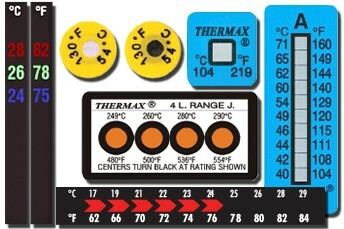 Thermometersite offers for sale color change thermometers and temperature indicators as labels, strips or graphics. The site also sells photochromic, thermochromic and liquid crystal inks and coatings. LCR Hallcrest is pleased to announce the publication of a new e-commerce site, Thermometersite, a division of LCRHallcrest, a family owned pioneer and leader in the field of temperature sensitive, color changing graphic technology, known as Thermographics. Digitemp® thermometers are used to monitor room and environmental temperature. Liquid Crystal for Science that is used for research and non-destructive testing. Contact info(at)hallcrest(dot)com for further information or shop at Thermometersite.